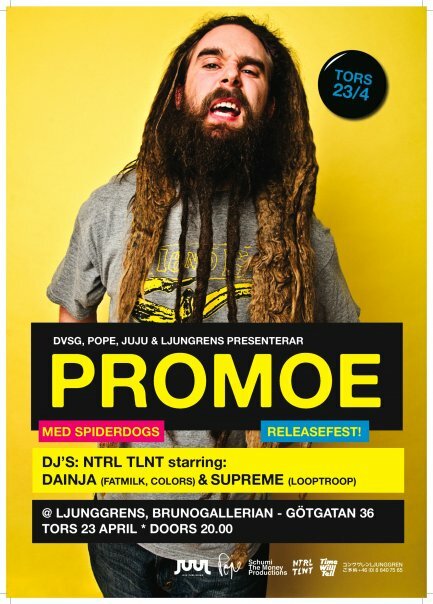 The date is finally set for Looptroop Rockers own Promoe fifth solo album which will be the first time Promoe releases a solo album in swedish! The album, “Kråksången”, will be released the 22th of April at JuJu Records. Promoe has a lot of records behind him and all of them in english, so I guess you can understand now how interesting this release is for us swedish fans. He has released songs in swedish before thou, but only on 12″, compilations and various guest verses – not a whole album. Participated producers behind “Kråksången” are Astma, Filthy, Jimmy Ledrac and Dj Large and I am stunned over that Embee hasn’t been mentioned. Oh well, you will also find guest artists such as his Looptroop Rockers colleague Supreme, Timbuktu, Afasi, PSTQ and singer Vincent. “Detta Har Hänt” is the first track released from the album and it is produced by Astma. It is a bright storytelling song where Promoe let us all know what has happen since day one ’til now. I sure do like it, and my expectations for this album is enormous. And I don’t think I am the only one with such expectations..
Download “Promoe – Detta Har Hänt” (.mp3) here! 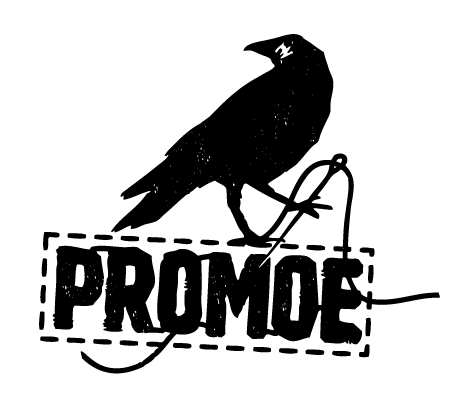 Download “Promoe – Detta Har Hänt” (.wav) here! This entry was posted in Nyheter and tagged Afasi, Astma, Detta Har Hänt, dj large, Filthy, Jimmy Ledrac, JuJu Records, Kråksången, Promoe, PSTQ, Supreme, Timbuktu, Vincent on January 26, 2009 by Niklas. The Video to Form one‘s single “Money” (which we have written about earlier) is now out, it premiered on MTV this past wekeend and is now up on youtube. The video was shot in an old warehouse that is now demolished and is produced and directed by Tobias Martinson and Marcus Bergman. The forthcomming album, entitled “Behind Blue Eyes”, will drop later this year through DLX Entertainment. This entry was posted in Nyheter and tagged Behind Blue Eyes, DLX Entertainment, Form One, Vincent on March 31, 2008 by Daniel. Form One is back! It’s been 3 years since his critically acclaimed debut, ”Meet Johnny Rhino” , which featured guest appearances from Chino XL, Sean Price, AG and Yak Ballz. The album contained a lof of party and battle-rap tracks but now3 years later his back with a new sound and more focus on personal lyrics (well atleast that’s what the record company says). 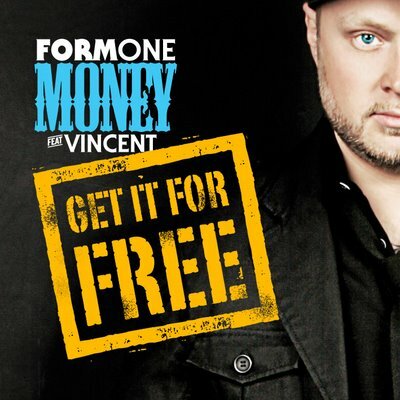 The first single is called “Money” and features production by Astma and guest appearace by singer Vincent, who had a major hit with the track “Miss Blue” The single will hit the shelves on March 12 but you can already listen to it right here! The forthcomming album, entitled “Behind Blue Eyes”, will drop later this year through DLX Entertainment and to get the latest updates on what’s happening with the album you should check out Form One’s Blog! 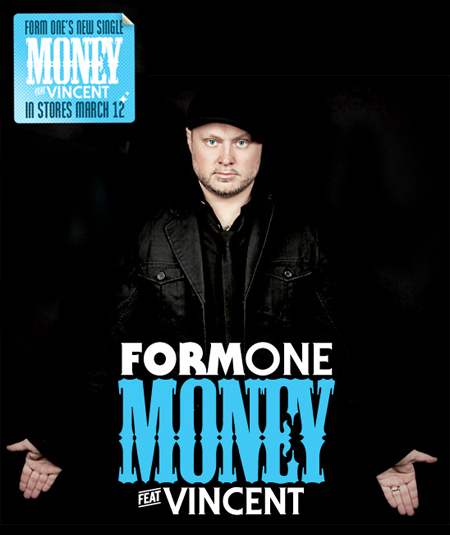 This entry was posted in Nyheter and tagged Astma Beats, DLX ent, Form One, Vincent on March 4, 2008 by Daniel.